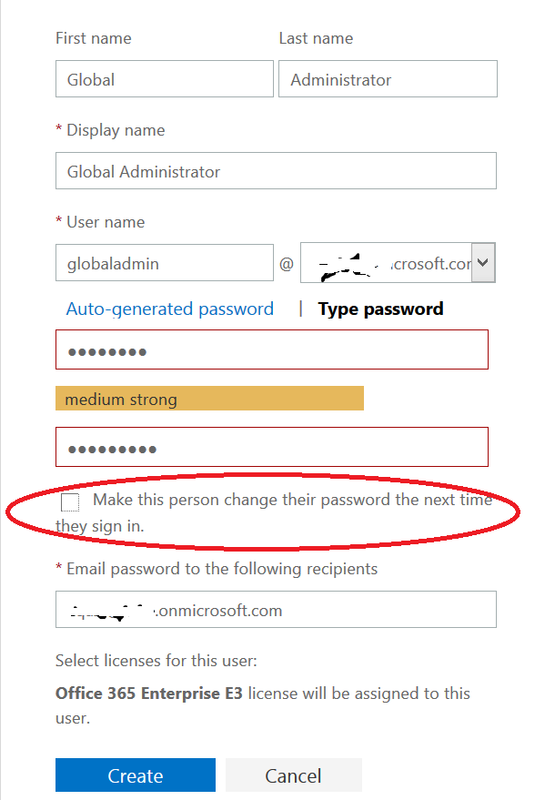 I was asked by my SDM to create an Global Administrator for one of our clients and set the password expiry to be set to Never. This is what we expect with system accounts when passwords don't change normally. I created a new account and unchecked "Make this person change their password the next time they sign in"
That's all I though was involved in setting up an account as there was no "Password Policy" that I saw and of course my assumption was not right. 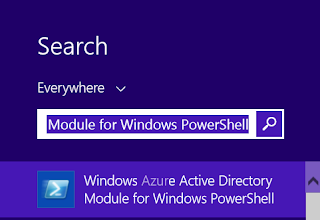 If you want to apply such a policy for a specific user, PowerShell is your friend. We will see in the end what it takes to apply different password related policies for all users in an organization. You need to get Microsoft Online Services Sign-In Assistant and Windows Azure AD Module. Download each of them separately (64 bit) and install one after the other. First thing you need to do is verify if user password is already set to expire or not. We will run this commend again when we have applied the policy to set if it is set correctly. This command will return you a value of True or False depending on user settings. to verify if your changes are applied or not. You must have realized by now that its too much work to be done if you need to apply it to the all users. Fear not my friend and continue reading. 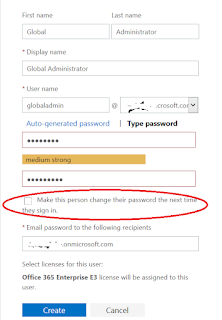 Once you are on your Office 365 admin center click Service Settings and then select Passwords. This is where you administrate organization wide password policy.